In the late 1970s and early 1980s, the bond an option markets were dominated by traders who had learned their craft by experience. They believed that there experience and intuition for trading were a renewable edge; this is, that they could make money just as they always had by continuing to trade as they always had. By the mid-1990s, a revolution in trading had occurred; the old school grizzled traders had been replaced by a new breed of quantitative analysts, applying mathematics to the "art" of trading and making of it a science. Similarly in poker, for decades, the highest level of pokers have been dominated by players who have learned the game by playing it, "road gamblers" who have cultivated intuition for the game and are adept at reading other players' hands from betting patterns and physical tells. Over the last five to ten years, a whole new breed has risen to prominence within the poker community. 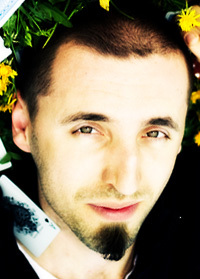 Applying the tools of computer science and mathematics to poker and sharing the information across the Internet, these players have challenged many of the assumptions that underlie traditional approaches to the game. One of the most important features of this new approach is a reliance on quantitative analysis and the application of mathematics to the game. 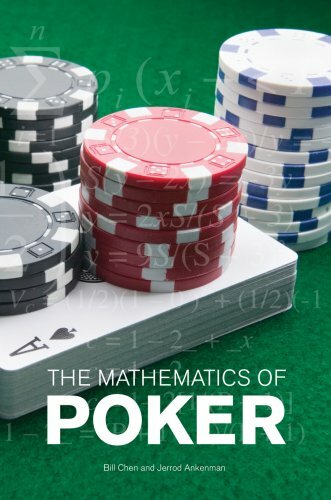 The intent of this book is to provide an introduction to quantitative techniques as applied to poker and to a branch of mathematics that is particularly applicable to poker, game theory. There are mathematical techniques that can be applied for poker that are difficult and complex. But most of the mathematics of poker is really not terribly difficult, and the authors have sought to make seemingly difficult topics accessible to players without a very strong mathematical background. This book covers the hot games right now seen on TV and played by millions nationwide: limit, no-limit, online and tournament hold'em. In each of the four sections games, the authors cover the basics of play, the top 10 tips for winning, 10 essential practice hands, frequently asked questions, review questions and "Dear Tom" stories from readers about actual situations with 1983 World Champion, Tom McEvoy's answers. Light yet serious, with wisdom and a touch of humor, and spiced with anecdotes designed to teach a lesson. For beginning and novice players who want to play and win at Texas hold'em "right now" and enjoy instant success at the table. Fifty easy-to-read and right-to-the-point hold'em strategy nuggets by the immensely popular Daniel Negreanu immediately make readers better players at cash games and tournaments. Daniel's wit and wisdom make for great reading; even better, it makes for killer winning advice.